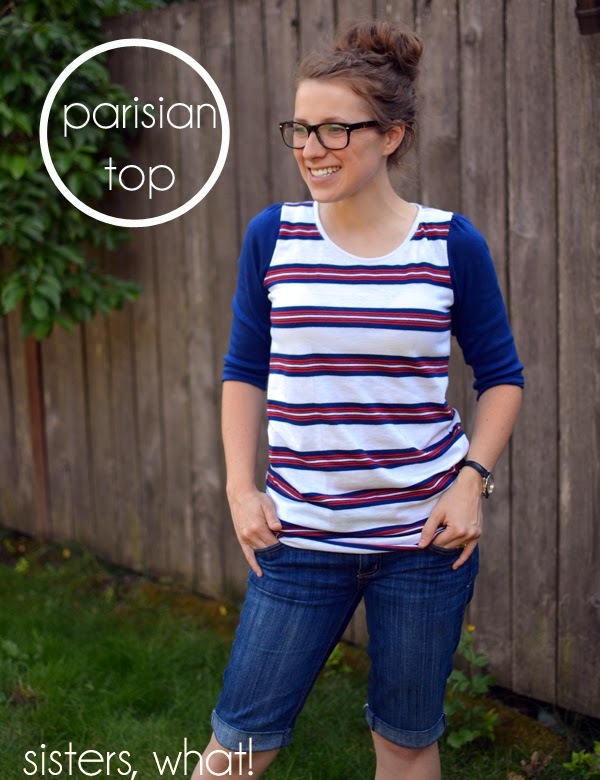 ' Parisian Top - Pattern Anthology - Sisters, What! It's me again, with a couple new home made shirts. I promise, these will be my last (for a while that is). I haven't bought a pattern since my one and only sewing class during college. Anyone whose sewn from a pattern knows how potentially annoying and vague they can be, thus I was really can't stand patterns. 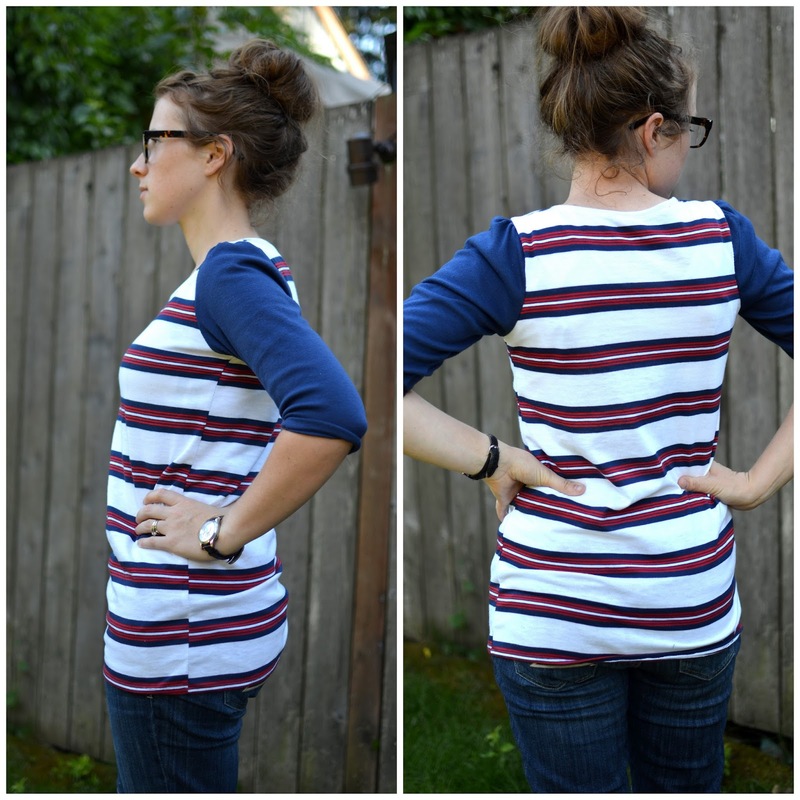 However, I decided to try this one pattern from Pattern Anthology the Parisian Top. Unlike typical patterns, these ones are modern and made by other pattern frustrated fellow sewist (my spell checker says that isn't a word, I say it is). The first one was SO easy and turned out great. The pattern was easy to follow and very detailed with great pictures. However, I changed it up a bit to fit for fun. I didn't add the shirt waistband or arm bands. Also I didn't do the peter pan collar. The main reason I got the pattern was for the peter pan collar, but after I attached it, I realized that me and peter pan collars are just not meant to be. So I took it off and did a regular neckband. sigh. The pattern was so easy, that I had to make one more. But this time I did short sleeves. Again, I just can't say enough about Pattern Anthology. I really want to try out the children's patterns one of these days. Adorable projects! 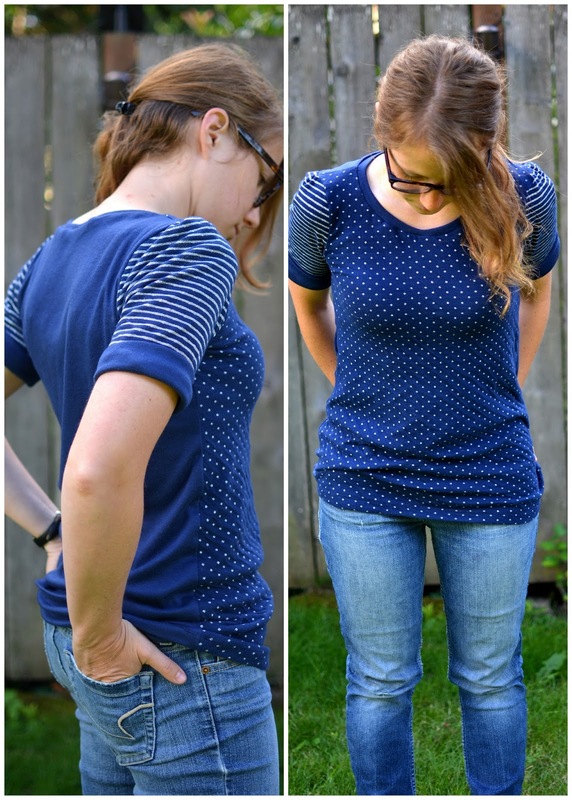 I especially like your mix of stripes, solids and polka dots in the blue shirt. I totally agree with you, I hate using patterns... actually I don't even really know how to use one lol! 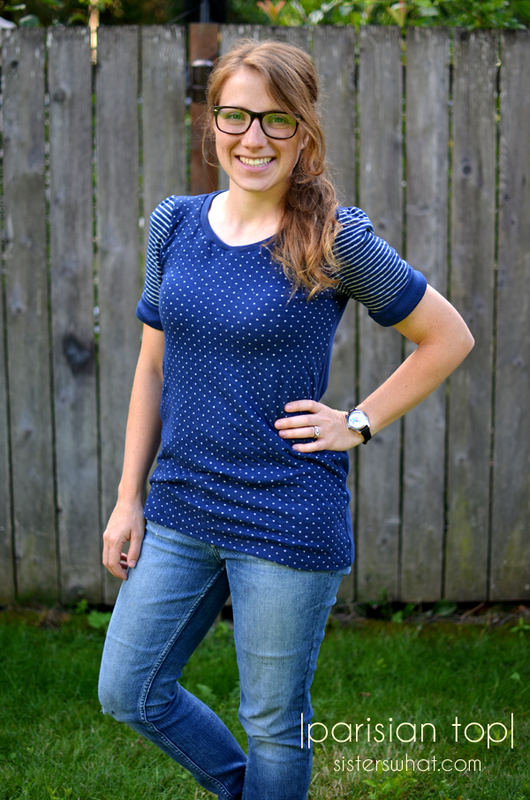 I love the polka dot and striped shirt! Both look very well made, great job!! Adorable! I got this pattern as part of a bundle, but was feeling kind of neutral about it until I saw your modifications. Your short sleeved version is great!